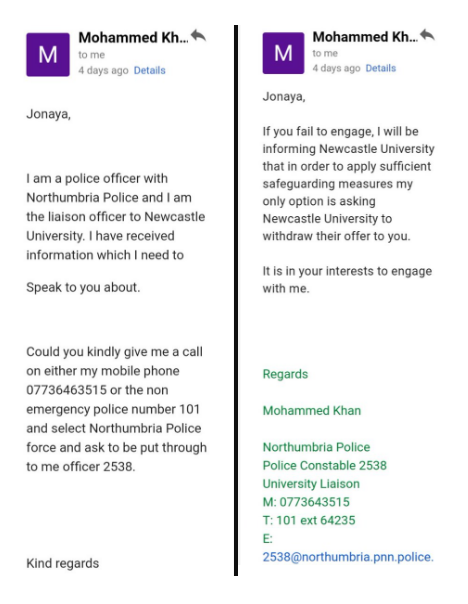 Last week I asked the department to comment on a threatening e-mail allegedly sent by one of its officers, PC Mohammed Khan, to Newcastle University student Jonaya English. 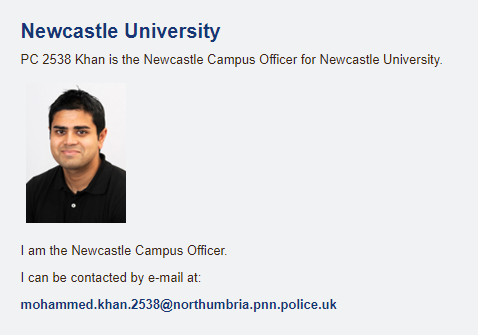 According to screenshots published by English, Khan told English that he would ask the university to withdraw its offer of acceptance if she did not respond to his e-mails. 2. I merely asked a question via the section of the department’s website that invites members of the public to leave leave feedback and make enquiries? I’ve asked the department for an explanation. 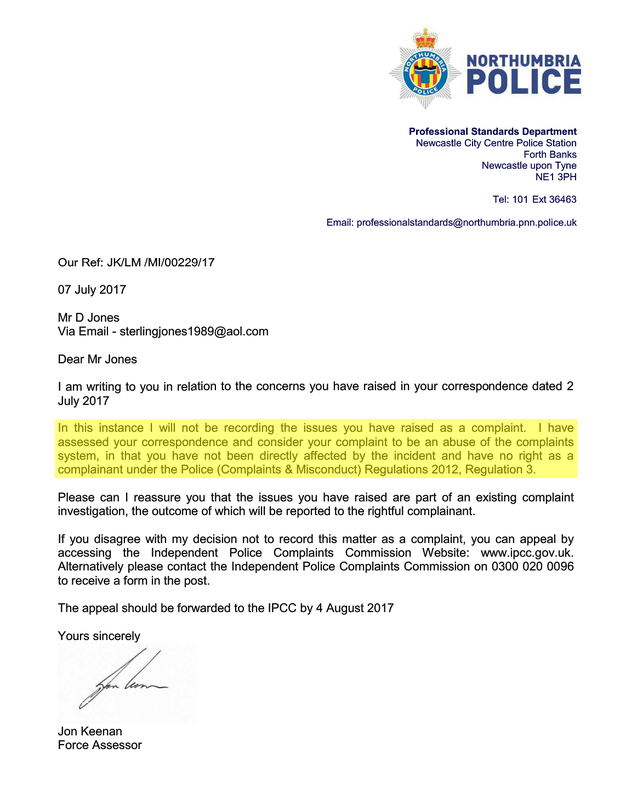 Why did the Police Officer assume the lady had even read his email?